Posted on June 30, 2017, in Card Samples, Challenge Entries, Debbie's Challenge Entries, Oscar's (Deb's) Card Samples and tagged Avery Elle, challenges, Coffee card, Coffee Lovers bloghop, Doodlebug, Hero Arts, Lawn Fawn, My Favorite Things, Paperhouse, Simon Says Stamp, Verses Rubber Stamp Company. Bookmark the permalink. 9 Comments. What a fun card! I love the ants carrying things off. Such a cutie, love the added summerbugs! How cute is this?!?! (to answer my own question, super cute!) Thanks for linking up to the Coffee Lover’s Blog Hop! oh how funny is this card! Hi Hi thos ants…so fun. Ha! 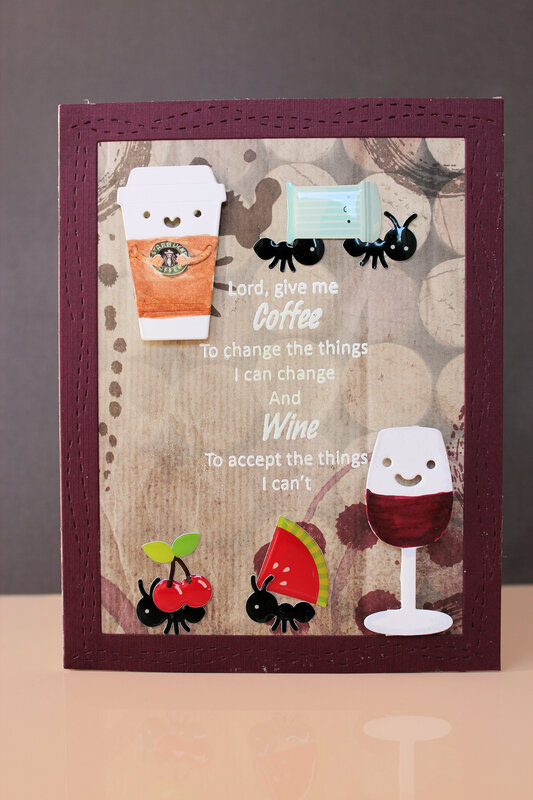 Love this sentiment… such a cute card!